Muslims should be prohibited from gaining citizenship in non-Muslim states unless it is a “life or death” situation, a Saudi scholar said. Furthermore, they should be banned from visiting the West as tourists, he said. 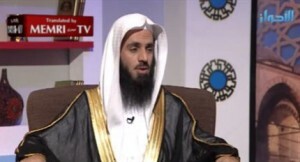 Sheikh Muhammad Al-Habdan, a member of the Muslim Scholars Association, said travel to Western nations by Muslims should be limited to trade or medical treatment – but not for tourism. “The principle is that a Muslim is not allowed to obtain citizenship of an infidel state, unless it is essential, as in cases of life or death,” Al-Habdan said in an interview late last month with Ahwaz TV. His comments were translated into English by the Middle Eastern Media Research Institute (MEMRI). Conditions for any Muslim traveling to the West, Al-Habdan said, should include being well-versed in Islam to “protect him from doubts” and from “lust”; “legitimate” reasons for going, including “to conduct trade, to study, or from fear of being killed”; and to stay only as long as the reasons persist to be a necessity.